The P.C. 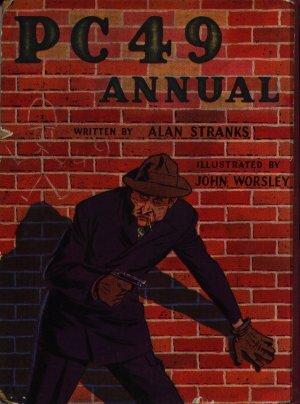 49 stories appear in the first series of the main Eagle Annual, but as yet I have to date this annual to know whether it precedes the main Eagle Annuals or if it appeared during the same years. 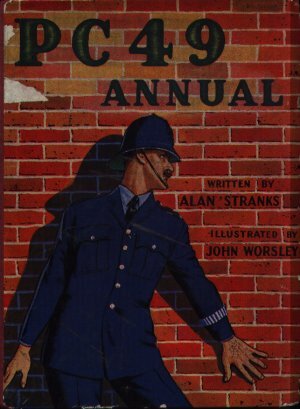 The author, Alan Stranks, is labelled as Author of the famous Radio Series. There are four main stories in this, each illustrated by colour plates. Dimensions : 19.5cm x 25.5cm with 94 pages. P.C. 49's moustache quietens a baby. Dodging bullets was an occupational hazard.